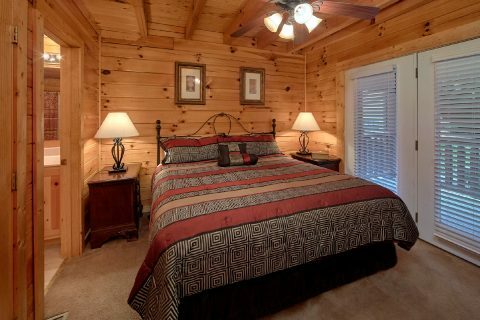 Nestled in the mountains near Pigeon Forge in the beautiful Mountain Park Resort area, you'll find "Smoky Mountain Lodge." 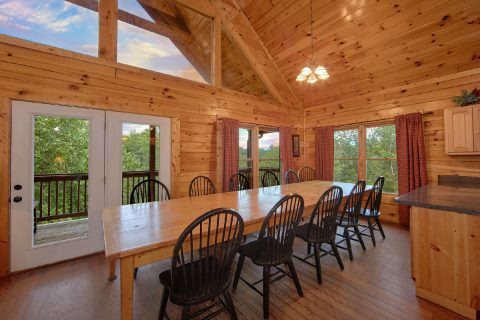 This impressive group cabin in the Smoky Mountains of Tennessee sleeps up to 17 guests in comfort, so it's perfect for group vacations or a big family gathering. 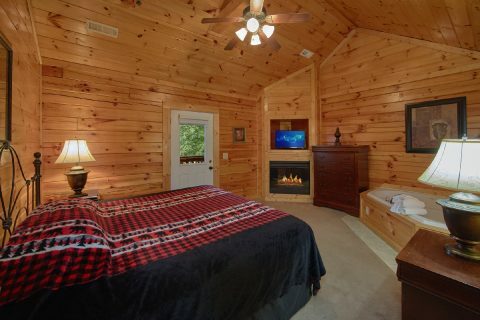 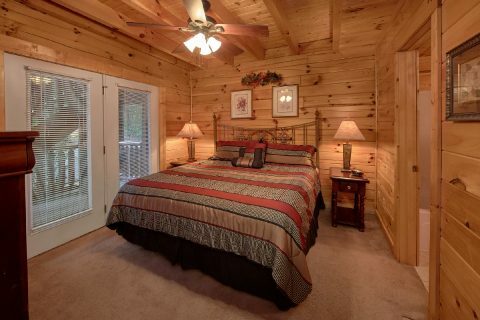 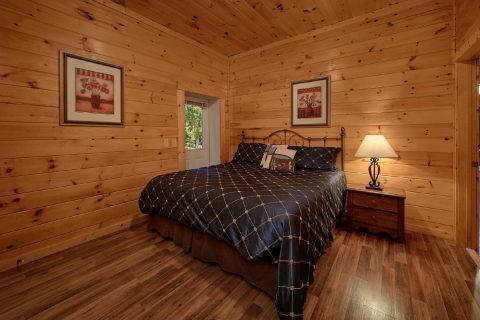 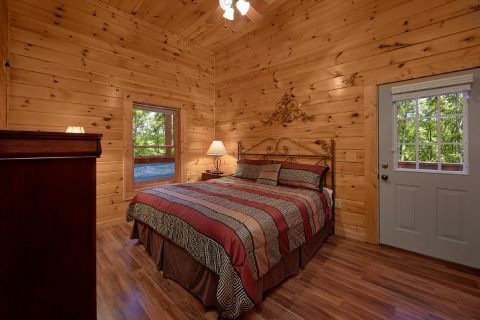 Better yet, this comfortable cabin boasts great amenities to make your stay a true delight and a prime location that's close to all the action in Pigeon Forge. 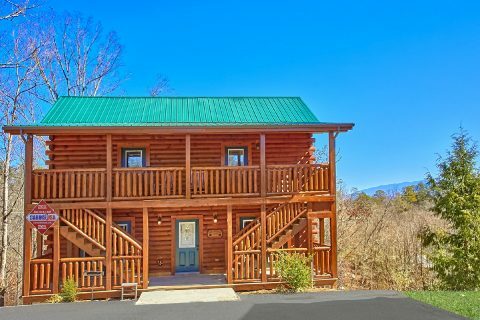 Since this rental is located only one mile from the heart of Downtown Pigeon Forge, guests of this cabin can easily reach fun attractions like Dollywood, The Titanic Museum, and the Historic Old Mill. 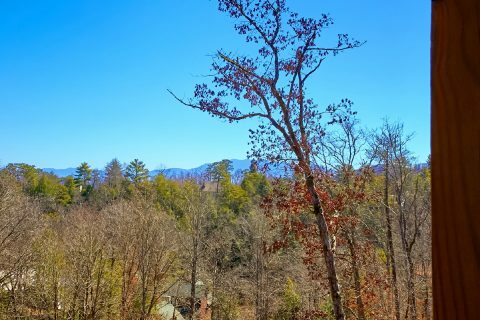 Additionally, quick access to the main Parkway in Pigeon Forge means that guests are also only a short drive away from nearby Gatlinburg and the Great Smoky Mountains National Park. 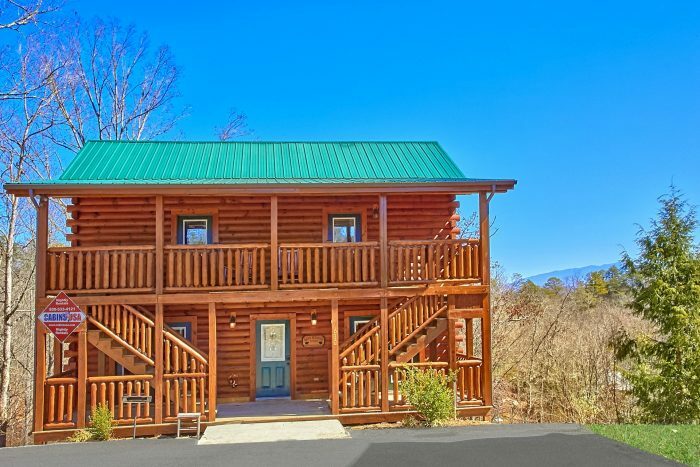 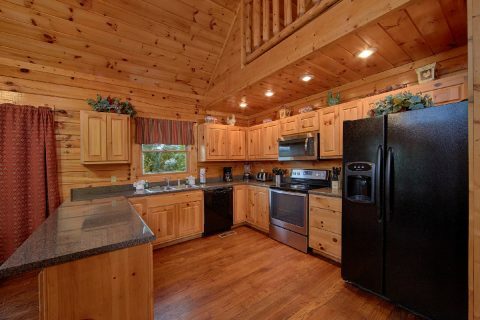 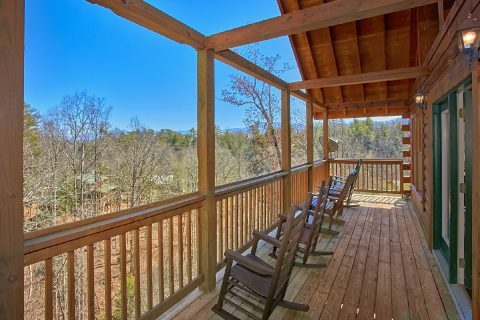 When you aren't busy exploring the beautiful sights and fun attractions of the Great Smoky Mountains, you'll love unwinding at this spacious cabin rental in the mountains. 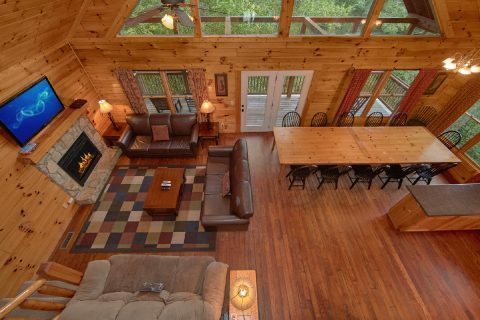 Spend quality time with friends and family in the main living area of your cabin that comes complete with a cozy electric fireplace, vaulted ceilings, and large windows to let in the natural light. 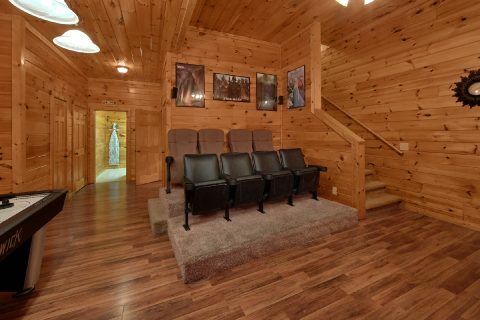 Downstairs, you can enjoy a laid-back movie night in your rental's full theater room with real theater style seats. 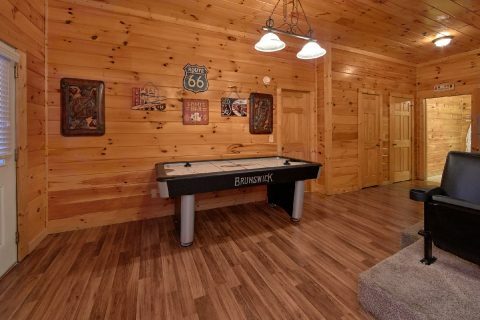 This room also comes complete with an air hockey game, so you can enjoy some friendly competition during your stay. 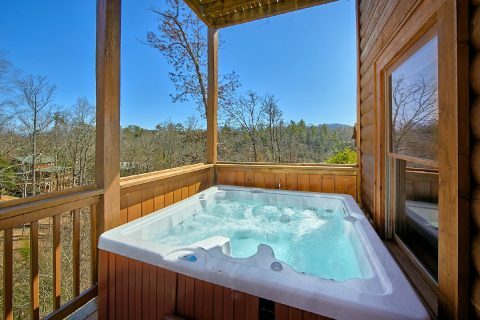 Since your cabin is a part of the Mountain Park Resort area, you can enjoy swimming in this resort's outdoor swimming pool during the warm summer months. 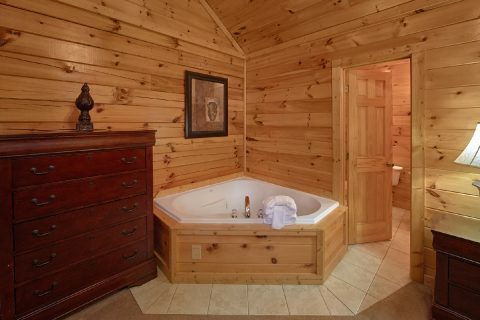 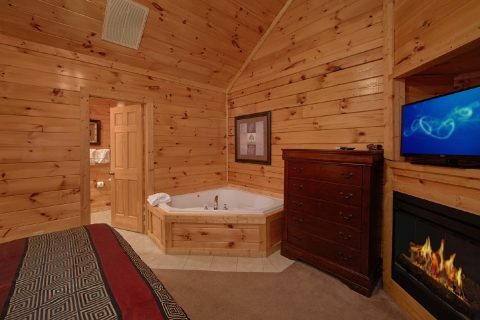 Your cabin also boasts its own jacuzzi tub and outdoor hot tub, so you can enjoy a soothing dip any time of year. 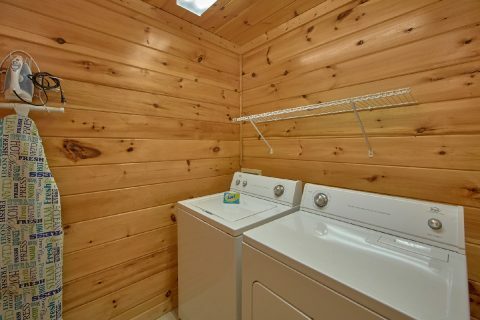 "Smoky Mountain Lodge" also features practical amenities like a full kitchen, a charcoal grill, WiFi Internet, and a washer & dryer for guests to use during their stay. 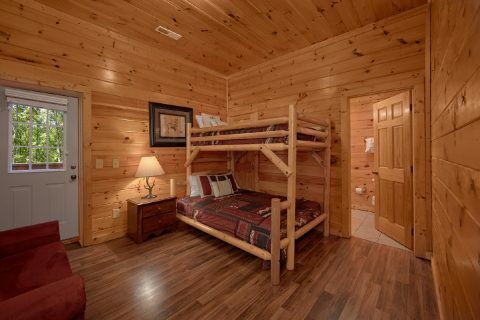 When you're ready to get a good night's rest, you can look forward to staying in one of this cabin's 6 private king-size bedrooms and another room with a twin over a full bunk bed. 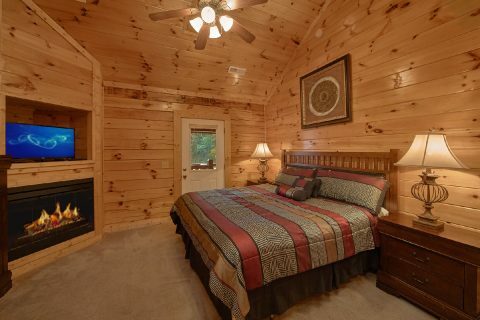 Altogether, your cabin sleeps 17 guests in comfort. 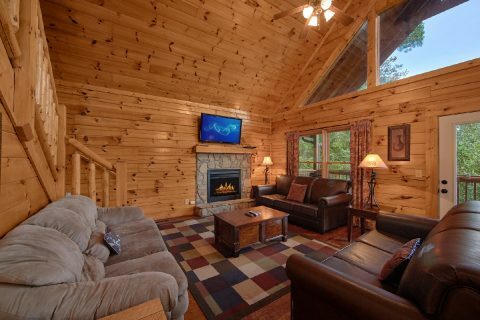 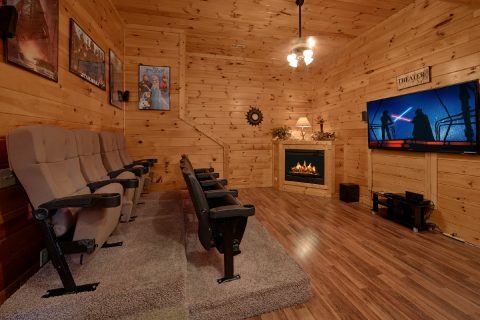 Book this spacious group cabin with a theater room and pool access today with Cabins USA Gatlinburg to earn a 15% discount on your nightly rate in the beautiful Smoky Mountains of Tennessee!